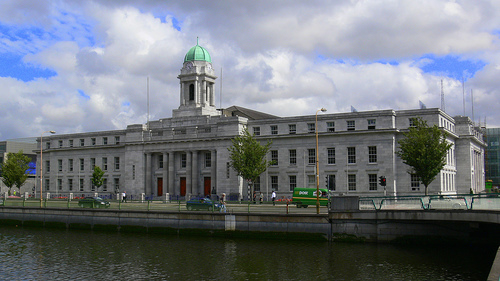 The Traoloch McSuibhne/Joe Murphy Cumann is the Sinn Féin branch for the Cork South West and South Central local authority wards. This area includes Bishopstown, Togher, Ballyphehane, Turners’ Cross, and Greenmount. The cumann is named in honour of Terence McSwiney, the Lord Mayor of Cork who died on hunger-strike in Brixton Prison in 1920, and Ballyphehane native Joe Murphy, who died on hunger-strike in the same year. The cumann is extremely active, publishing a regular newssheet, organising functions and social events, and campaigning on a variety of local and national issues. It supports the work of local Sinn Fein representatives Cllr Fiona Kerins and Henry Cremin. The cumann holds an annual Joe Murphy/Terence McSwiney Commemoration each October. The cumann has a strong membership drawn from all age groups. It meets every Tuesday at 8pm in the Sinn Féin office on 136 Barrack Street. New members are always welcome.